The ribbon-cutting ceremony for the new Bitsy Grant courts. 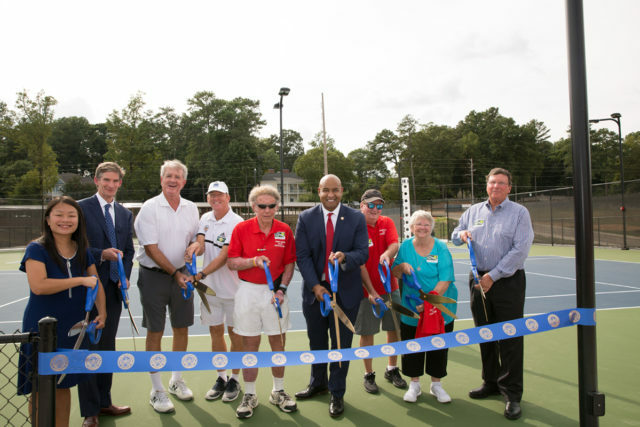 The new courts replace the center’s previous 10 hard courts, which were demolished in July as part of an ongoing project to renew the historic Bobby Jones Golf Course adjacent to the Bitsy Grant Tennis Center. Foster, who passed away in 2007, was actively involved with the tennis center for more than 30 years. His natural charm, practical jokes and dynamite checkers skills kept players entertained and engaged through long court wait times. “Ralph was the face and spirit of Bitsy Grant for decades, and we can think of no better way to pay tribute to our dear friend than by making him the namesake for our new courts,” said Dart Meadows, president of the Friends of Bitsy Grant Tennis, a 501(c)(3) nonprofit organization working to enhance and improve the center for the benefit of current and future generations of Atlanta tennis players. Built in 1952, the Bitsy Grant Tennis Center is a historic Atlanta public tennis facility consisting of 13 clay courts, 12 hard courts and three paddle courts (all lighted). The tennis center was recognized with USTA Outstanding Facility Award in 2017, and is named for Bryan “Bitsy” Grant, the most outstanding Southern tennis player of his time. 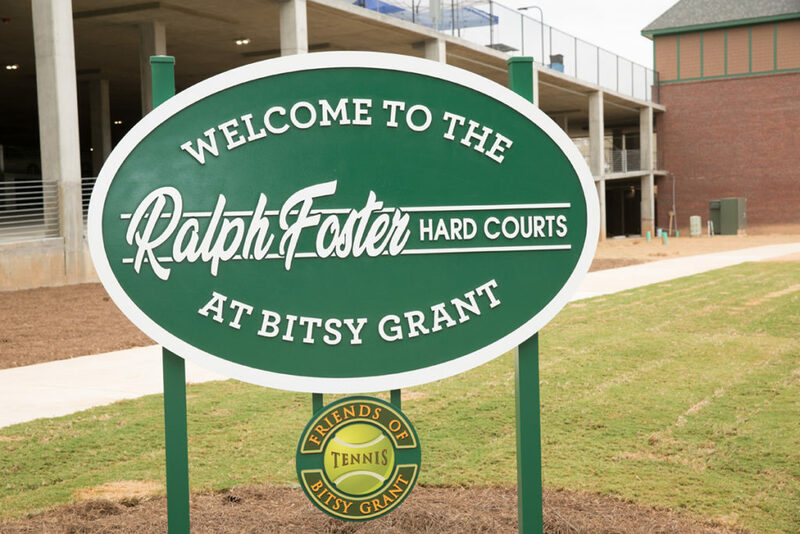 Bitsy Grant’s new hard courts were named in honor of Ralph Foster.